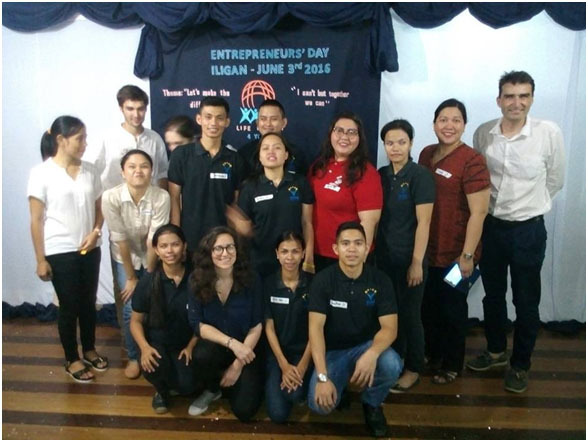 Life Project for Youth (LP4Y) Iligan chapter showcased the talents and entrepreneurship spirit of the youths that they have assisted towards social transformation and professional integration in their annual Entrepreneur’s day held last June 3, 2016. It was attended by all LP4Y youths, volunteers and partners in Iligan City. Alrose Group of Companies, having been a partner for already 6 years and being the first establishment in Iligan who believed and supported their vision, attended the said activity to show the continued support and commitment of the company to their cause. It was a day filled with inspirational stories of the youths from LP4Y and testimonies of the partners who helped them achieve their transformed lives. With their tag line “I Can’t But Together We Can!” it shows that a small step towards making a difference can go a long way as long as we all do it together. And with Alrose Group of Companies’ commitment to social transformation together with all the partners, a brighter future for the youth is at hand.